Enter your information HERE to gain access to GREAT owner finance houses in the San Antonio area. Also get email alerts when new San Antonio owner finance homes are available..
To see available local owner finance homes enter your info below to get started! Bad or NO Credit? We Have Owner Finance Homes in San Antonio Available For You! If you’re tired of renting, and you want to own a home in San Antonio but your credit, lack of down payment, or income hold you back from qualifying for a normal bank loan… a “owner finance”, often called “seller finance” may be a great fit for you. We specialize in helping San Antonio residents earn the satisfaction of being a home owner through our San Antonio Owner Finance Program. SA Homes 4U offers great owner finance houses in and around San Antonio… in conjunction with our help to get your credit up so you can refinance the home in as short of a timeline as possible. Sign up now to see San Antonio Owner Finance houses! 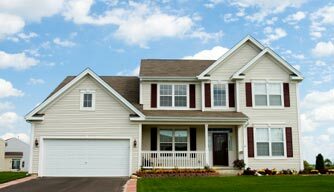 What Are The Types Of Owner Finance Houses In San Antonio We Offer? Our local owner finance homes are move-in ready, in good neighborhoods, and often freshly updated. Inquire with us on this site for available properties. We acquire houses every month from homeowners who need to sell for one reason or another. 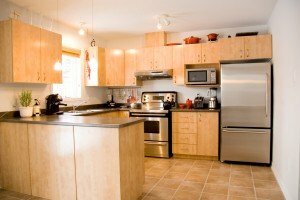 Often times we remodel the homes to bring them up to date and up to insanely great shape for a new owner finance buyer like yourself to move into. Each owner finance house is different, so there’s definitely the perfect house out there for you. How Does An Owner Finance Work Anyway? An Owner Finance agreement might be right for you! Step 2: We’ll look at your situation, the type of property you’re looking for, and show you your owner finance options here in San Antonio. Step 3: View the local San Antonio homes that fit what you’re looking for. Plus, as we acquire new properties each month, as long as you’re on our owner finance List, you’ll get email alerts with the latest properties available. START below and see our available Owner Finance Homes in San Antonio! LEGAL DISCLAIMER: Owner finance is offered but borrower must be qualified through a licensed loan originator.